OPEC countries failed Thursday to agree to a cut in oil production that was desperately sought by some member states worried about the recent drop in prices. Officials met for six hours of negotiations in Vienna. It would have been the first cut in production since 2008. But Saudia Arabia, the largest among OPEC members, was against the cut in output -- in a bid to retain market share and hold off competition from U.S. shale production. Brent crude, the European benchmark, was down by about 7% at $72.60 after it was announced that production will remain around 30 million barrels a day. 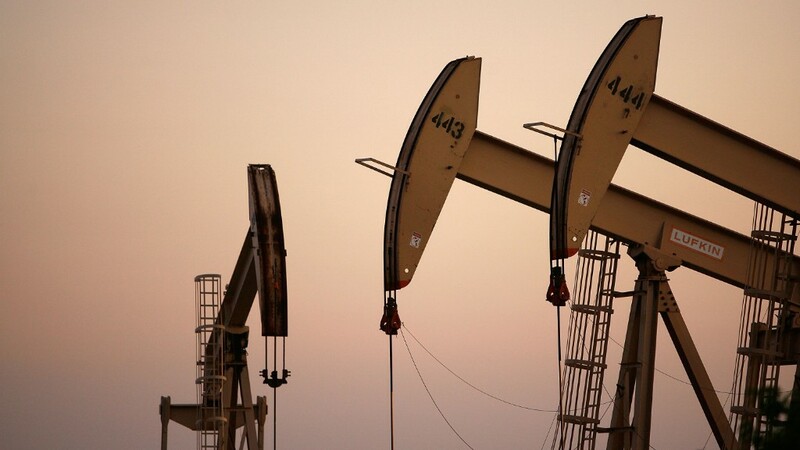 The price of light crude, the U.S. benchmark, plunged about 7% to below $69 per barrel. Analysts say a cut of around 1.5 million barrels a day would be needed to support oil prices. The lack of action is bad news for oil-producing countries like Russia, Nigeria and Venezuela, which depend on prices of at least $90 a barrel to meet their economic targets. The Russian ruble took a 2.5% plunge after the announcement. The country is not a member of OPEC, but asked the group for solidarity ahead of the meeting. Over half of the government's revenue comes from oil and gas and low prices are putting extra pressure on its economy. 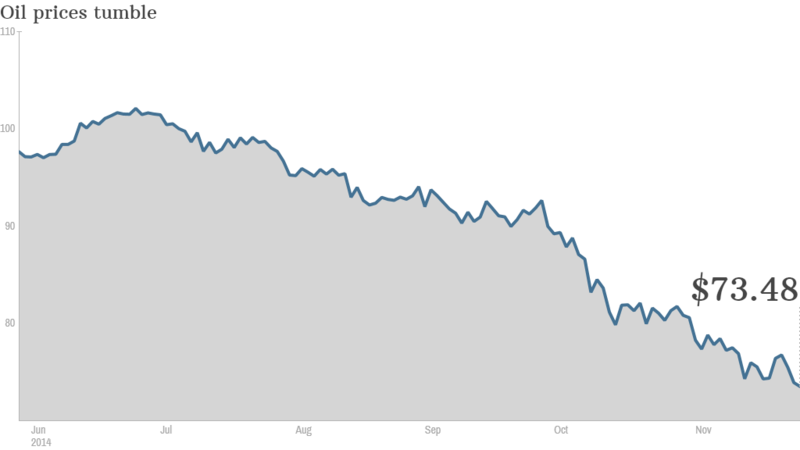 Crude oil is down 30% since June and analysts warn prices could fall even more now that OPEC countries decided not to cut output. Lower oil prices could also halt the U.S. shale oil boom, as analysts indicated that 40% of the production scheduled for 2015 would be "uneconomic" if prices drop below $80 a barrel. In the past, OPEC has stepped in to cut production to support the prices during times of turmoil. But with Russia and the U.S. each producing around 10 million barrels a day, OPEC is now playing geopolitical hardball to see who can stand up to the pressure of lower prices. --CNN's John Defterios and Anna Stewart contributed to this report.